Austria decided on Wednesday (24 January) to sue the European Commission for allowing the expansion of Hungary's controversial Paks nuclear plant, to be built and financed by Russia. 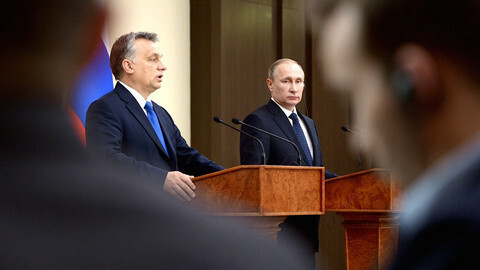 The project is viewed by critics as an example of Hungary's prime minister, Viktor Orban, cosying up to Russian president Vladimir Putin. Austrian sustainability minister Elisabeth Koestinger tweeted: "Austria will take action against the use of nuclear power plants at all levels. That is why today we have taken a decision in the council of ministers to sue Paks II at European level". "There are enough reasons to sue Paks II. We are optimistic to prevail. To protect our country and our children," she added in a tweet. EU competition commissioner Margrethe Vestager, whose services were responsible for scrutinising the state aid plans for the nuclear plant, told reporters on Wednesday that the EU executive takes Austria's decision "very seriously". "We will of course defend our decision with the arguments that are in the decision," she added. Last March the Commission gave its final approval for the project, and that said Hungary's state aid is not illegal after commitments Budapest had made to limit distortions in competition. An earlier infringement procedure looking into whether the project was in line with EU procurement rules, as it was initiated without a tender, was closed in 2016 with the ruling that Hungary did not break EU rules. The project, signed in 2014 in Moscow, would see Russian state-owned company and its international sub-contractors build two new reactors. The Russian state has also loaned up to €10 billion to Hungary to finance 80 percent of the project. Austria, Hungary's neighbour, has no nuclear power plants. Last October, then prime minister Christian Kern said Austria would challenge the Commission's decision on Paks. Vienna launched a similar legal action against the Commission in 2015 over its approval of the UK's state aid support for the Hinkley Point C nuclear power plant project. "EU assistance is only permissible when it is built on common interest. For us, nuclear energy is neither a sustainable form of energy supply, nor is it an answer to climate change," a spokesman for Koestinger, a member of right-wing Austrian People's Party, was quoted by Reuters. Hungary insisted the legal challenge does not change anything, and Paks II is on track for starting construction this year. "Everything is still on track, the investment is still on track, according to the schedule," Hungary's foreign minister Peter Szijjarto said Wednesday. 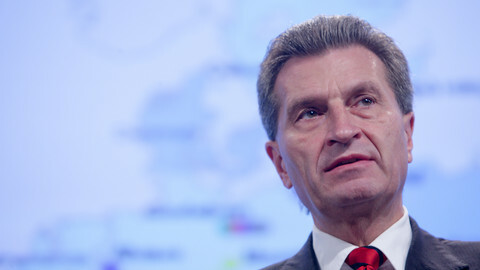 "As you know, the government of Austria made an appeal because of the decision of the European Commission on the investment, but it has no impact on the schedule," Szijjarto told Russian news agency TASS on the sidelines of the Arctic Frontiers conference in Norway's Tromso. 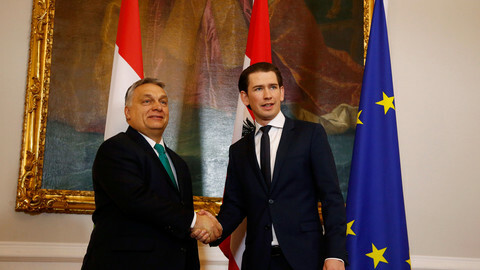 Hungary's prime minister Orban is to travel to Vienna on 30 January to meet with his Austrian counterpart, Sebastian Kurz. Experts say the commission's decision – based on the Euratom treaty – to allow the construction is founded on the consideration that new nuclear power plants are an objective of common interest in the EU. The commission in its statement about the decision last year cited the Euratom treaty saying the EU should "facilitate investment and ensure, particularly by encouraging ventures on the part of undertakings, the establishment of the basic installations necessary for the development of nuclear energy in the community". But the executive's decision does not consider the position of member states, like Austria, Luxembourg, Italy, Portugal and Ireland, which are less enthusiastic about nuclear. 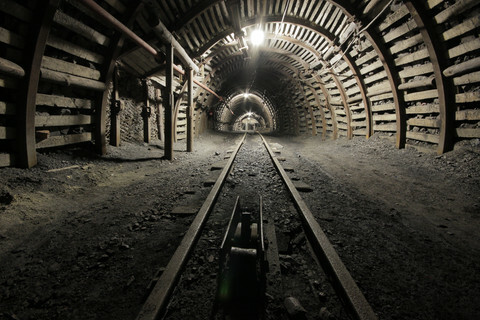 Moreover, Hungary decided to construct the nuclear plant without a tender, and the decision foreclosed the market to other solutions, such as solar and wind energy that could have addressed Hungary's energy security concerns. If the European Court of Justice annulled the commission's decision, Hungary would have to abandon the project as building of nuclear plants is not possible without state aid. However if the court supports the commission's arguments, non-nuclear member states could question the Euratom treaty's validity. Greenpeace EU legal adviser Andrea Carta told EUobserver that predicting the outcome of the case is difficult. "What matters, however, is that even the market shows that the future of energy is in renewables and that nuclear cannot compete. Governments subsidising nuclear to prevent the transition to renewables are coming up against brick walls. 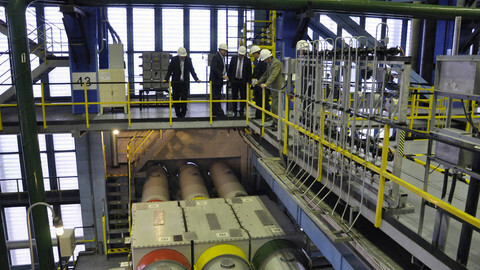 State aid to nuclear plants is obsolete, just like the technology itself," Carta said. Green MEP Benedek Javor, who has challenged the commission's decisions and shed light on shady dealings between commissioner Guenther Oettinger and German lobbyist of Russian interests Klaus Mangold with possible links to Paks , argued it is time to rethink the Euratom treaty. "Is this possible to exempt a major energy generating sector, nuclear energy, from common competition or public procurement law, based on a 60 years old and never really updated regulation, the Euratom treaty? Without giving a clear negative answer to this question, any plans of the Energy Union or the single European energy market might remain a dream," he said, arguing that the case is not only an Austro-Hungarian dispute. "It is simply not true, that high amount of state subsidy for a nuclear power plant with 2400 MW of capacity does not distort the market. 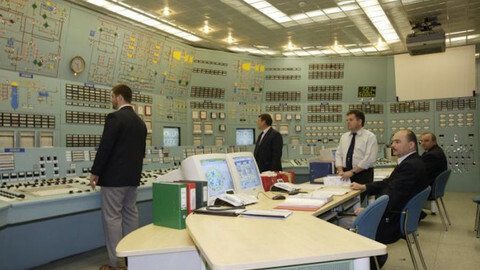 And it is simply misinterpretation of the Euratom treaty, that the paragraph saying that 'the development of nuclear energy is a community interest' means that unprofitable powerplants producing electricity for the market and built from Russian money, with Russian technology and using Russian fuel should be regarded as a community interest and heavily subsidised," Javor argued. 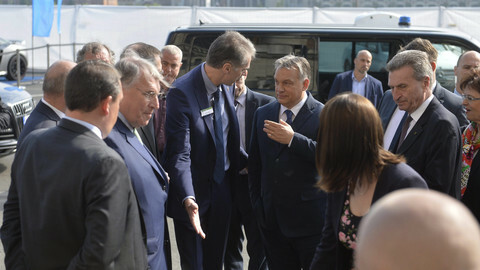 Javor pointed out that Orban's top circle might have "opened the champagne bottles too early" when Kurz, who hails from the same centre-right political family as Orban, won the Austrian election. "They hoped to get full support from the newly-elected Austrian government, but it might disappoint them," he said, adding: "The Austrian statement only one week before the visit of prime minister Orban to Vienna must be a warning to the Hungarian government".